Today we check out a 2009 reserve malbec from Argentina. Its price ranges wildly from $10 to $19 online – I found it at Total Wine for $16. Wow, malbec has really taken off. Not taste-wise, but popularity and price-wise. I’m normally very, very impressed with South American red wines, for their price. At $16, I expected this Mendoza reserve to blow my head off. Instead, it’s “good” — a pleasantly mild aroma, with a taste that is more tart, blackberry-flavored tobacco and black pepper than it is juicy. It’s also a sort of manly wine — aggressive, mouth-drying tannins abound. 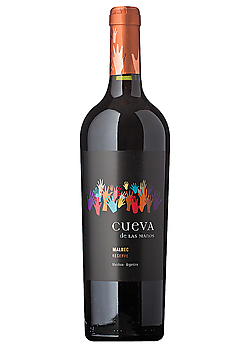 Even though Cueva malbec isn’t a value monster, it is plenty good enough at $16 to recommend. And, it has a cool name, to boot.